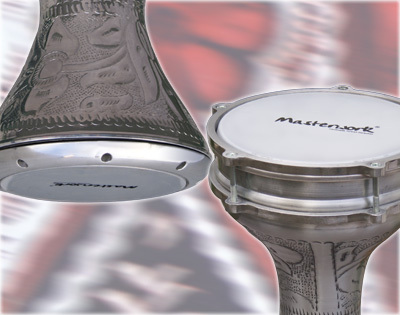 Masterwork: Handmade Darbuka’s from Turkey – truly perfect European value! Masterwork Darbukas are handcrafted by dedicated Turkish artisans, to provide you with the best possible instrument. There is a choice of Turkish style or Egyptian style darbukas in ornamented and engraved editions.